Presidential Early Career Award for Scientists and Engineers (PECASE) Awards recognizes outstanding scientists and engineers who, early in their careers, show exceptional potential for leadership at the frontiers of knowledge. 2013 PECASE Awardee Anya Jones, Aerospace Engineering. 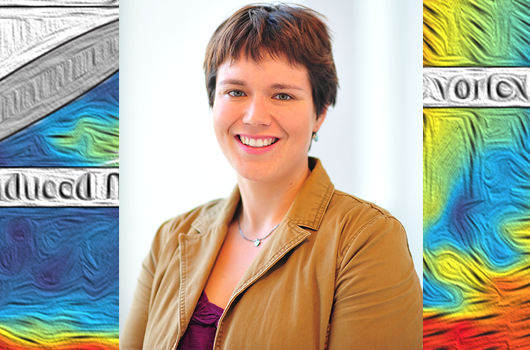 Recognized for her research on engineering robotic systems at sub-millimeter size scales. Recognized for developing a novel approach to fabricate six-degree-of-freedom micromechanisms, and for innovative educational activities that nurture capable MEMS researchers of the future. Recognized for her outstanding contributions to foundational research in aerodynamics, and for her dedicated community service through which she inspires young people from underrepresented groups to seek careers in science and engineering. Recognized for his research titled "Exploring jet fragmentation and atomization for combustion and fire suppression systems." Recognized for his research in the area of dynamics and control, including cooperative control of autonomous vehicles, adaptive sampling with mobile networks, and spatial modeling of biological groups. Recognized for her research to develop a new type of microscopic artificial muscle, or autonomous actuator, technology. Recognized for work in nanophotonics. Recognized for work with force-sensitive nanofiber networks.